At the beginning of the 1900s, popular treatments for colds were poultices and messy plasters. These were typically the same forms of mustard and mint products that had been used for over 5000 years. These products were applied on the chest and forehead, but due to the abrasiveness of the compounds, they often caused rashes and/or blisters. This was due is a large part because their main ingredients were skin irritants. The other prescribed method to cure a cold was to inhale hot herbal vapors. While this method was very successful in curing colds, it could also cause severe burns if children or patients placed their faces too close to the steam. Lunsford Richardson, a druggist from Selma, North Carolina, was one of several druggists who sought a product that would provide relief without the drawbacks of the plasters and poultices. Two events occurred that led him to the perfect product. The first was the use of petroleum jelly as a safe base for salves and cosmetics. The second was the discovery of menthol, a crystalline alcohol extract from peppermint which released a vapor capable of giving sinus relief. Menthol had been used by consumers as far back as 1898 when it was introduced in a product called Ben-Gay. This product, which was invented by Jules Bengue, combined menthol with an analgesic pain reliever in a base of lanolin. The innovative product was promoted as a cure for rheumatoid arthritis, gout and even help with a head cold. Richardson studied the testimonials on Ben-Gay and started mixing different ingredients together in his drugstore. He finally stumbled upon using menthol with other ingredients in a base of petroleum jelly. He named his new product, Richardson’s Croup and Pneumonia Cure Salve. When rubbed onto the chest, the chemicals opened up sinus passages while they increase blood circulation. After its introduction, jars of the product flew off the shelves. Richardson could barely keep up with orders for customers and other druggists. His only problem was the long, involved name of the product. He felt he needed a catchier moniker and turned to his brother-in-law, a doctor named Joshua Vick. Because it had been in Vick’s laboratory that Richardson had experimented to create a new product he changed the popular products name in honor of his mentor. 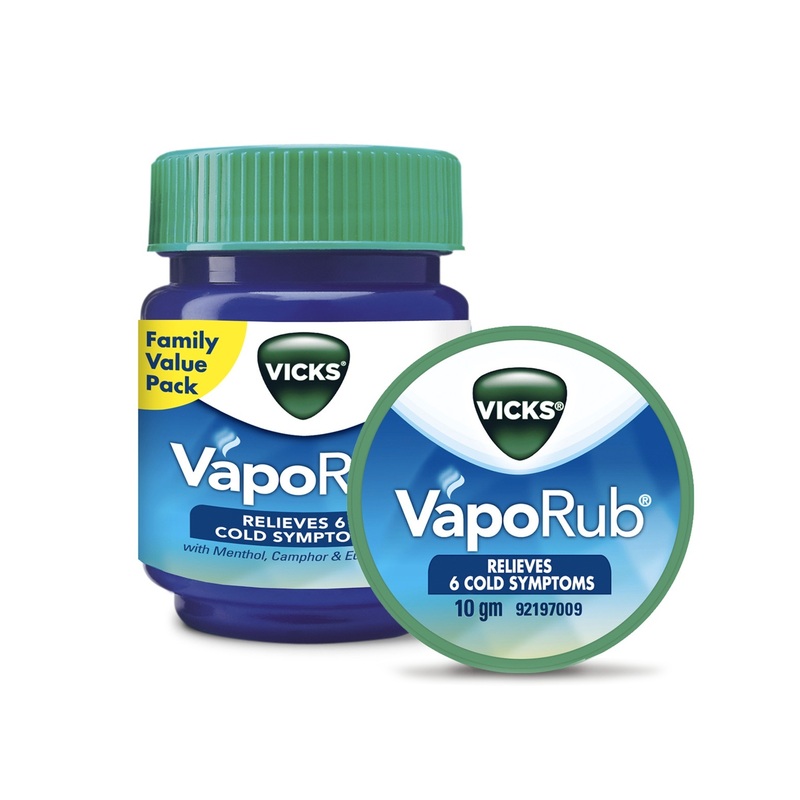 Vick’s VapoRub was born, the year was 1905. Although the product was selling and Richardson was having difficulty keeping up with orders, he still went on a huge advertising campaign to promote his product. He advertised in newspapers and supplied coupons for a free trial size jar of the product. He also had the ingenious idea to persuade the U.S. Post Office to allow him to provide samples to “Boxholders,” a precursor of today’s “occupant.” Before this time, all mail had to have a name listed on the package and/or letter. The flu soon traveled to China and on to Russia where it became even more virulent. During that year the flu killed one half of one percent of the entire population of the United States. To put it in even easier terms to visualize, World War I had taken four years to claim the lives of nine million soldiers. The 1918 Spanish Flu epidemic killed 25 million people, making it the worst plague in history. It goes without saying that the flu that year drove the need for any type of cold medicine up. Cough syrups, cough drops, decongestants and even ASPIRIN® were bought for every household. These drug sales, especially Vick’s VapoRub, set new industry records. In 1918, Vick’s sold over a million dollars' worth of product. That is 1918 dollars, which was unprecedented until that time. While Vick’s is still very popular today and widely touted as the best cure for sinus and chest colds, it was the flu epidemic of 1918 that put a jar in every home. Mysteriously the flu that claimed so many lives vanished in 1919. People who suffer from back pain usually can pinpoint those obvious causes for the problem. Usually back pain occurs from factors such as heavy or improper lifting, strained ligaments and muscles or sudden body movements. There are also structural reasons for back pain such as arthritis, osteoporosis, sciatica or ruptured disks. However, often back problems are due to hidden causes that are not as obvious. Because shoes support the entire body and are the only contact between the ground and a person, it’s important to wear the right shoes to avoid back pain. Shoes that are not aligned properly and don’t give proper support and ride quality can cause problems with backs. For example, high heels put added pressure on the foot which causes back pain. When wearing these shoes, a woman’s heels are placed unnaturally above her toes so even a slight change to the foot can affect body alignment. The spine has curves designed to distributed body weight and wearing high heels changes these curves. Other types of shoes that don’t provide enough or any cushion include sandals, flip-flops and cowboy boots. In other words, choose well-cushioned shoes to reduce the odds of getting back pain. Although mostly older people suffer from back problems, children can develop them from carrying heavy backpacks packed with books, calculators, notebooks and other school supplies. Usually, kids walk bent over from the strain of carrying too much weight on their backs and shoulders. According to a Children’s Hospital.org article, there are students who carry as much as 30% of their body weight. Besides a child complaining of back pain, another sign of the problem is a change in posture such as a child leaning either backward, forward or to the side. Excessive redness on shoulders is another sign that a backpack is too heavy. An alternative to heavy backpacks is pulling a small luggage on rollers such as those used when flying. Bad posture, whether lying, standing or sitting, causes the back to be more susceptible to back pain. Fatigue is another cause of poor posture leading to back pain. When the spine isn’t properly aligned muscles, spinal joints and ligaments are placed under additional stress causing back pain. The most common type of back pain from poor posture is lower back pain because the lower back supports the majority of the body’s weight. Poor posture can also lead to upper back pain such as people who slouch. Back pain can be caused from emotional factors, as well as physical problems. Stress from work or home situations can do more than just cause mental frustration. These stressors can also cause back problems. According to Big Back Pain.com, there’s a significant link between stress and back pain. That’s because stress causes stress hormones to be released which increases the perception of pain. These stress hormones also leads to muscle tightening with muscles becoming so tense they can cause pain spasms with neck and back muscles being especially sensitive to stress effects. It’s usually not too late to improve a bad back problem; however, it’s important not to ignore symptoms of back pain. As soon as symptoms of back problems surface, it’s vital to seek help and make needed adjustments. Correcting the problem may include the help of a doctor or health care professional. Dark spots on the skin, also called liver or age spots, usually appear on areas of the body that have the most sun exposure, like the face, arms and trunk. 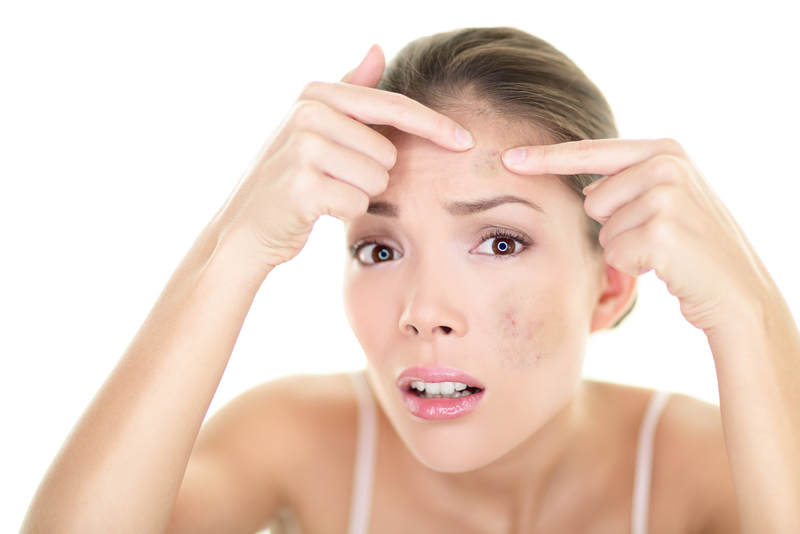 You may begin seeing dark spots at age 40, but they can occur earlier. Age spots are harmless, according to the Mayo Clinic, and don’t need treatment. But some people choose to have them lightened for cosmetic reasons. The best way to prevent dark spots is by minimizing sun exposure. Some sunscreens are infused with a host of ingredients that can lighten lighten liver spots and freckles. Hydroquinone is an organic compound that reduces melanin in the skin. Applying a sunscreen with hydroquinone to dark spots can lighten pigment. For all over freckling or several dark spots, applying the sunscreen all over provides a better chance of fading skin evenly. SkinTx: Sunbalance is an example of one product that contains four percent hydroquinone. Vitamin C is also known to lighten pigment. An article published in 2006 in the journal "Phytotherapy Research" indicates that vitamin C "has been tested extensively and is reported to inhibit the production of melanin." The Naked Bee produces a sunscreen enriched with vitamin C.
Benzoyl peroxide is one of the most commonly used acne medications. It's also known for it's bleaching properties. Considering that 20 percent of American adults have acne, according to the Acne Resource Center, it's likely that most homes have a benzoyl peroxide gel or wash in the bathroom medicine cabinet. The downside is that benzoyl peroxide kills the bacteria that causes acne, it dries skin and can be irritating. So it's best to use this product on dark spots for people who already have an oily complexion. Because skin lightening is so popular, cosmetic companies are infusing soaps and washes with ingredients known to eliminate dark spots. You may already have a shower cleanser that contains additives for moisturizing and vitamins to enrich the health your skin. If these ingredients happen to be kojic acid, L-glutathione or glycolic acid, by increasing the application, you could lighten dark spots faster. Not only does it take several weeks before you will notice an improvement, but it's recommended to use these mild skin lighteners two or three times a day to get better results. SkinWhite and SW+SS are two bar soaps that are enriched with compounds that fade pigment. Sinus infections resulting in congestion, pain and pressure can last up to four weeks, or longer for chronic sufferers. Luckily, there are many prescription, over-the-counter and natural remedies available to ease the pain, as well as preventative measures to avoid future infections. Sinus infection, or sinusitis, is characterized by an inflammation of the sinuses and nasal passages.There are varying degrees of sinusitis, ranging from acute sinusitis to chronic sinusitis. Those suffering from acute sinusitis should only use over-the-counter decongestants for the recommended period of time. In some cases, a doctor may prescribe a decongestant or antibiotics. Use these medications as per the doctor's instructions. Pain relievers may also be used, as recommended. For anyone with long-term sinusitis symptoms, treatment options may also include decongestants or antibiotics, but these are only to control symptoms. For daily treatments, use saline drops or a vaporizer. steam treatments: Boil some water and carefully inhale the steam. Add a few drops of eucalyptus oil to help clear block nasal passages. heating pads: Place a heating pad on the affected sinus area, to reduce pain symptoms. apple cider vinegar: Add two to three tablespoons of apple cider vinegar to a cup of hot water. Add honey to taste. Consume this drink twice daily to ease congestion and pressure. vitamins: As soon as symptoms start, take vitamin C and zinc to ward off a cold that may result in a sinus infection. Taking vitamins for the duration of a sinus infection may reduce symptoms. ginger: Taking ginger in capsule form may relieve headaches resulting from sinus infections. The process of nasal irrigation, or sinus cleaning, removes excess mucous and debris. Nasal irrigation includes both saline nasal sprays and conduits, such as the neti pot. The neti pot is an old sinus remedy made popular again in recent years after a demonstration on a health episode of the Oprah Winfrey Show. 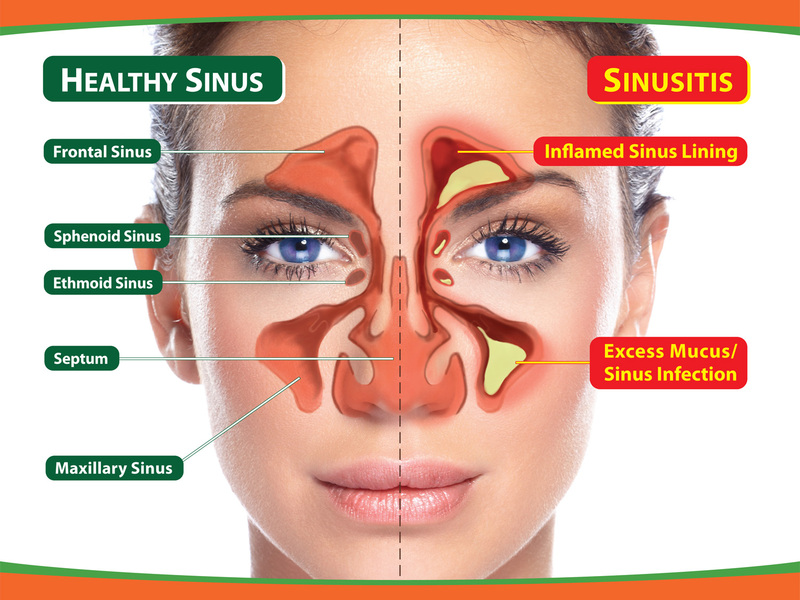 Sinus cleaning may be the best preventative measure available to both acute and chronic sinusitis sufferers. Using a gentle saline solution daily, or twice daily, will help to ward of future sinus infections. A neti pot is not necessary, as a person can easily snort the saline solution from cupped hands. These treatments may be used individually or in combination, but always consult a health care professional first, before beginning any treatment plan. Not so, say Aamodt and Wang. 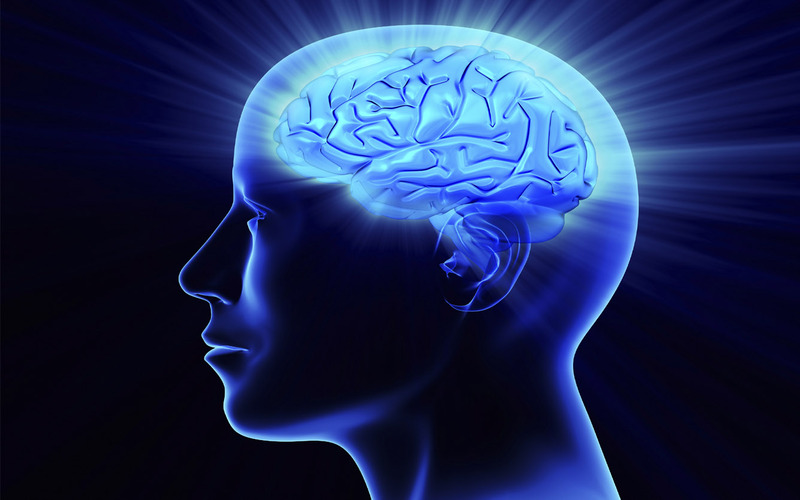 Most of us use nearly 100% of our brains every day. The authors explain that nature doesn’t support structures that will never be used, so while the brain does have back up systems in the event of damage to critical areas, most of the brain is needed and used in day-to-day living. A small 1993 research project gave birth to the Mozart myth. The study showed that college students who listened to classical music prior to taking the SAT test scored a little better than their peers. The study has never been successfully replicated, and no one has ever published a report on the relationship between listening to classical music and smarter children. Nevertheless, the myth persists and products based on this unfounded assertion have sold millions. Aamodt and Wang say the best way to increase a child’s mental ability is to buy them an instrument and teach them to play classical music. It is widely accepted that any amount of alcohol kills brain cells. While it is true that chronic heavy drinking over a period of years is associated with many physical and neurological problems, including dementia, several studies conclude that moderate drinking produces no such damage. In fact, research suggests that drinking red wine actually reduces the risk of dementia and stroke. Aamodt and Wang cite several studies that conclude men can safely imbibe up to three drinks a day, and women up to two a day, with no adverse effects on the brain. Crossword puzzles and other mental challenges are good, but Aamodt and Wang assert that the best thing anyone can do for his brain is to exercise. Thirty minutes of strenuous exercise, such as fast walking, several times a week significantly reduces the risk of Alzheimer’s and other forms of dementia. People who have been physically active throughout their lives enjoy the greatest protection, but it is never too late to start. Aamodt and Wang report that sedentary people who begin exercising in their sixties can still reduce their risk of Alzheimer’s by up to one half. Much of what the public believes about the brain is false, and much of what neuro-scientists have discovered about the brain is unknown to all but a few researchers. Welcome to Your Brain by Sandra Aamodt and Sam Wang corrects this situation with humor, good writing, and fascinating science.